LONDON — Defense spending by NATO countries continues to decline in real terms, according to figures released by the alliance ahead of a meeting of defense ministers starting Wednesday. The rate of decline slowed from a 3.9 percent fall in 2014 to an estimated 1.5 percent reduction this year, taking overall spending by the 28-nation alliance down to about US $893 billion, according to alliance figures. 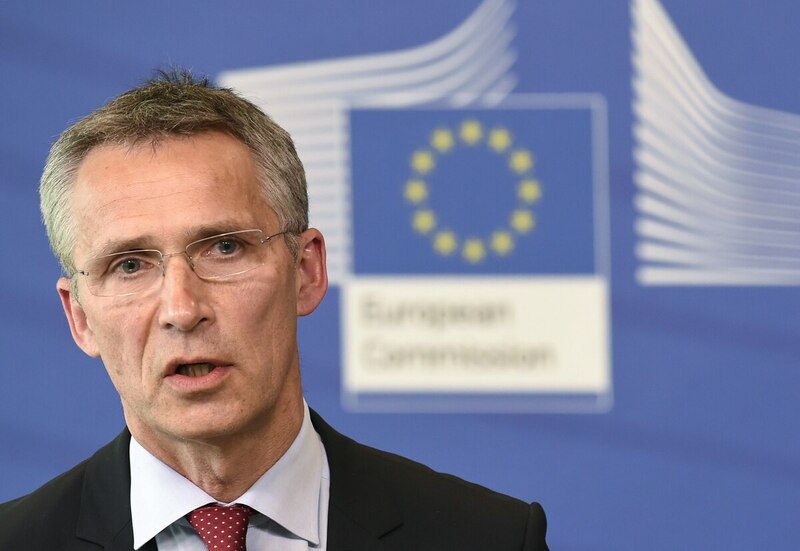 NATO Secretary General Jens Stoltenberg told reporters Monday that June 22 the alliance was facing "more challenges and couldn't do more with less indefinitely." The alliance was able to name just four member nations that met alliance spending targets last year as it released its latest financial and economic data for 2014 and estimates for 2015. Last year, Britain, Estonia, Greece and the US were the only members of the alliance to meet the goal of spending 2 percent of gross domestic product on defense. According to estimates, the situation is things are unlikely to improve much this year, either with only Poland set to join the 2 percent club. With a nervous eye on Russian aggression in the Crimea and eastern Ukraine, Warsaw is increasing spending from 1.8 percent of GDP in 2014 to 2.2 percent this year, according to the just-released NATO figures. The worst offenders were Belgium, Luxembourg, Hungary and Spain, none of which reached even managed defense spending of even 1 percent of GDP. The NATO members poor defense spending record is expected to be on the agenda when the NATO defense ministers meet. starting June 24. Prompted by the British and others, alliance members at the NATO summit in Newport, Wales, last September pledged to meet the 2 percent target, and although 18 nations reported minor budget increases for this year the spending trend overall continues to fall. The British, in particular, have run into severe difficulty over the 2 percent pledge. The NATO figures show the British at 2.1 percent of GDP, just meeting its commitment for this year. The Conservative government in London, though, has repeatedly refused to commit to meeting the target next year and beyond as Chancellor George Osborne looks for cuts across a number of departments as part of a campaign to improve public finances. Now, according to the BBC, it appears the government is planning to assign the entire £1 billion (US $1.6 billion) cross-departmental Conflict Stability and Security Fund to the UK defense budget in an attempt to meet the 2 percent figure for next year. The fund is available for peacekeeping and other missions and is managed by the Foreign Office, the Department for International Development and the MoD. About £450 million of the fund is provided by the MoD. "As with other NATO member states, from time to time the UK makes updates to ensure defence spending is categorised fully in accordance with NATO guidelines and what it says should be included," said the MoD in a statement. Gerald Howarth, the former Conservative defense minister, told the BBC that "while it may be perfectly legitimate under NATO rules it would not allay concerns among sections of the British military and foreign allies about the UK's ability to fulfill its commitments on the world stage." Howard Wheeldon, of consultants Wheeldon Strategic, said the move was "underhand" and likely the first of several such efforts to allow the government to claim it was meeting the 2 percent target. "I suspect that the Cabinet Office and Treasury are kidding themselves if they believe for one moment that we are not already well aware that the real and only reason for making this change is to dress the headline defense budget number up in order to be able to claim that next year Britain will still be spending 2 percent of its GDP on defense," he said. "The intention is that having beefed up the top number it will allow the government to take yet another big swipe at real defense spending in the months ahead," Wheeldon said. News of the likely budget changes emerged the same day that a survey by a British military charity reported that almost half the people it surveyed believed the military was no longer strong enough to defend the UK. The US government, Conservative members of Parliament and others have urged the government not to cut defense spending any further after five years of heavy reductions have hit personnel numbers and capabilities. The government cut an additional 1.5 percent, or $766 million, in defense spending within weeks of coming into office in early May and there is the possibility of further reductions when the Conservatives announce their three-year spending plan in September.